Objective: This case report is presented to offer a potential intervention strategy in the treatment of resistant chronic back and leg pain with multifactorial central and foraminal stenosis. Clinical Features: A 77-year-old female with bilateral total knee replacement (TKR) and total hip replacement (THR) presented using a walker for gait assistance and in obvious distress. She reported constant pain levels of three to 10 out of 10, with sharp pain across the lower back, buttocks, and posterior hips. The symptoms originally began nine months prior, following left THR. Five epidural steroid injections failed to significantly reduce pain levels. Oxycodone was minimally effective in reducing her pain. MRI revealed L4-5 grade 1 anterolisthesis, with moderate-to-severe right foramen stenosis, mild central stenosis, and L5-S1 disc protrusion abutting the thecal sac and right S1 nerve root, establishing multiple potential pain generators. Intervention and Outcome: Initially, the only modality utilized was the K-laser 10d Class IV therapeutic laser. Dosage was set at nine to 10 W, continuous wave and pulsed at variable frequencies from two to 10,000 Hz, for each 6-to-10-minute treatment session. A 400-to-900-cm2 area of the lower lumbar and gluteal regions received 1,600 to 3,300 J total per treatment for a 1.8 to 8.2 average J/cm2. Eleven treatments in a nine-week period resolved pain on the left side and reduced the pain scale report on the right side by 50 percent. Prone diversified-type manual manipulation of the bilateral SI restriction was performed on the fourth visit. Preadjustment pressure along the intended line of drive produced no pain referrals, and no extension of the lumbar spine was permitted. This treatment was reported as aggravating and discontinued at the patient’s request. No other interventions were employed, and the patient was asked to increase physical activity as tolerated. Progressive reductions in pain allowed her to be more active, improving range of motion and general conditioning through adding activities of daily living that had been previously intolerable. Conclusion: Class IV laser therapy may be a treatment option in patients with chronic multifactorial low-back pain, possibly allowing for earlier active intervention and return to ADLs. Natural history influence on improvement cannot be excluded as a contributory factor in symptom reduction in this case study. Since laser therapy was initiated nine months post-injury with ongoing symptoms, the amount of contribution is uncertain. More controlled studies with high-power laser therapy and significantly greater total doses than are possible with Class II and III lasers are necessary for a broader understanding of this emerging modality. Lumbar stenosis is present when neural elements are compromised in the central canal, lateral recess, and/or neural foramen. The prevalence of lumbar stenosis in the general population predilection is 1.7 percent to 8 percent; the condition usually develops in the fifth to sixth decades of life. This is typically due to degenerative changes of the disc, bulges, herniations, hypertrophic facets, ligamentum flavum overgrowth or buckling, and/or spondylolisthesis. Other complicating factors can include scoliosis, kyphosis, infection, or pathological spaceoccupying lesions. The impairment of the nerve roots and cord is more common from decreased cerebrospinal fluid (CSF) flow, which is responsible for 60 percent of nutrition to these structures, not frank compression. This condition is seen routinely in the chiropractic practice with aging baby boomers and can present significant clinical challenges. Many patients will have already received extensive medical care, including OTC medication, NSAIDs, pain-relief medications, physical therapy, epidural steroid injections (ESIs), and/or decompressive surgery. Spinal manipulative procedures, soft-tissue techniques, physical therapy modalities, acupuncture, nutritional supplements, and stabilization exercises encompass the typical chiropractic treatment regimen. A 77-year-old female in obvious distress sought chiropractic care. She presented with a kyphotic posture and using a walker for ambulation to unload the back. She was unable to stand without assistance. At the time of examination, she reported constant pain levels from three to 10 out of 10 (worst possible pain), with sharp pain in the lower back, buttocks, and posterior hips. Aggravating factors included quick movements and sitting for longer than one hour. Improving factors included lying down. The complaints originally began upon awakening from a left total hip replacement (THR) surgery nine months prior. She was referred to an orthopedic back specialist, who felt she was a non-surgical case and referred her for physical therapy. Physical therapy was discontinued after four weeks because of worsening symptoms. The patient was then referred to an anesthesiologist/ pain management specialist. Prior care included five epidural steroid injections and oral Oxycodone, which offered a very limited reduction in pain. The patient discontinued the oral medication several months before time of examination because of intolerable side effects and fear of falling. Pain levels had progressively returned to immediate post-THR levels at time of intake. Palpation revealed paralumbar hypertonicity and tenderness, and multiple gluteal trigger points without referral. SI joints were reported tender, and posterior-to-anterior restriction was evident on motion palpation. Lumbar extension was 5 degrees, with increased back and gluteal complaints increasing on repetitions, flexion 70 degrees, repetitions partially improving complaints. No focal reflex, focal motor, or sensory changes were noted. Kemp’s was positive for increasing lumbosacral/ gluteal/posterior thigh pain, sitting root negative, and SI compression was positive for local pain bilateral. MRI revealed L4-5 grade one anterolisthesis with prominent bulge or protrusion, osteophytes, and facet DJD creating moderate to severe right foramen stenosis, mild central stenosis, and L5-S1 disc protrusion abutting the thecal sac and right S1 nerve root. A diagnosis of symptomatic lumbar foraminal and central stenosis and bilateral sacroiliac joint restriction was given. The percentage contribution of SI dysfunction, disc protrusion vs. degenerative decreased foramen and canal diameter, could not be established. This is often encountered in complex multifactorial back pain so common in the elderly, especially in the absence of definite neurological findings. Prior partial response to ESIs possibly suggests central spine involvement. Worsening of symptoms and failure to significantly improve with prior modalities establishes multiple potential pain generators and case management complexity. The initial goal of the treatment plan was to decrease chronic inflammation/irritation of deep and superficial lumbar nociceptors that had possibly become sensitized from ongoing stimulation. The plan was to improve paininduced deconditioning and ADL intolerance, opening the door for more active intervention. Aerobic conditioning was limited by prior bilateral total knee replacement (TKR) and THR surgeries. Treatment consisted of the K-laser 10d, GaAS/GaAlAs dual 790 nm and 970 nm laser (K-laserUSA, 311 Royal Oaks Blvd, Suite 140- A, Franklin, TN 37064, www.k-laserusa.com) as the sole intervention at nine to 10 W, pulsed, variable frequencies, six to 10 minutes, over a 400-to-900 cm2 area, 1,600 to 3,300 J total per treatment dosage. The treatment was applied twice in the first week, followed by one treatment a week for nine weeks. This resulted in pain elimination on the left side and 50 percent pain reduction on the right side. Care was interrupted, with a two-month follow-up revealing retained left-side benefits and 75 percent improvement on the right. Improvements were noted in walking and in increased sitting tolerance. Complaints at the time of writing include complete retained resolution of left-side pain, intermittent ache, and infrequent sharp pain in the right lower buttock with quick movements. The patient could stand at the sink to prepare meals and was able to return to more outdoor activities, establishing sustained benefits of care. Lasers work by using an energy source that directs photons into a resonance chamber containing a medium (e.g., GaAl, HeNe). This will stimulate the medium, driving electrons to a higher energy state. Upon return to ground state, energy is released in the form of a photon with an identical wavelength. If enough photons are pumped into the medium, high-energystate electron population inversion occurs, and the incident photon is not lost. Consequently, two identical photons are produced, and eventually a large number of same-wavelength (e.g., 790 nm) photons are concentrated in the lasing chamber. Reflective and partially reflective mirrors allow a percentage of photons to escape in the form of a beam and others to remain in the chamber to continue the population inversion process.14 Current Class IV therapeutic lasers reach up to 12 W of continuous wave power. Laser therapy promotes healing from a variety of mechanisms known as laser photobiomodulation by photon absorption at a cellular level by photoreceptors or chromophores. 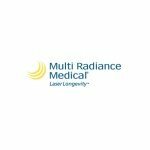 The antiinflammatory properties of therapeutic laser have been shown to follow multiple pathways. These include the cytokines tumor necrosis factor (TNFalpha), IL1-beta, IL-6, and prostaglandin E2. Albertini16 recently studied cytokine mRNA expression and modification in induced inflammation of rat paws. Treatment included laser irradiation at 660 and 684 nm with a dose of 7.5 J/cm2. Both groups had 30 percent to 40 percent lower mRNA for the above cytokines than controls three hours after treatment. Aimbire17, 18 also revealed TNFalpha reductions with GaAlAs lasers in animal studies using 5.2 J/cm2 energy density. Bjordal19 also published findings of decreased prostaglandin E2 with a 904 nm laser on human Achilles tendinitis at 5.4 J/point and a power density of 20mW/cm2. Laser therapy may have influenced the inflammatory and pain reduction parameters of this case. One cannot exclude the improvement contribution from natural history. Class IV laser therapy may be a low-back pain treatment option for patients with untreated chronic low-back pain or for those who don’t respond to medical treatment. More controlled studies with Class IV high-power therapeutic lasers and greater total doses than Class II and III lasers are necessary for a broader exposure and understanding of the expanding use of laser therapy and effective dosage ranges. Written informed consent was given for the anonymous use and publication of all clinical information, including imaging studies relating to this paper. 1 Fraser JF, Huang RC, Girardi FP, Cammisa, FP. Pathogenesis, presentation, and treatment associated with coronal and sagittal spinal deformities. Neurosurg Focus 2003 Jan 15;14(1):e6. 2 Yuan P, Albert T. Managing degenerative lumbar spinal stenosis. J Musculoskel Med 2004;21:640-648. 3 Stuber K, Sajko S, Kristmanson K. Chiropractic treatment of lumbar spinal stenosis: a review of the literature. J Chiropr Med 2009 Jun;8(2):77-85. 4 Assendelft W, Morton S, Yu E, Suttorp M, Shekelle P. Spinal manipulative therapy for low-back pain. Cochrane Database of Systematic Reviews. 2004, Issue 1. Art. No.:CD000447. DOI: 10. 1002/14651858.DC00047.pub2. 5 Madsen R, Jensen T, Pope M, Sorensen J, Bendix T. The effect of body position and axial load on spinal canal morphology: an MRI study of central spinal stenosis. Spine 2008 Jan 1;33(1)61-7. 6 Bybee R, Olsen D, Cantu-Boncser G, Allen H, Byars A. Centralization of symptoms and lumbar range of motion in patients with low-back pain. Physiother Theory Pract 2009 May;25(4):257-67. 7 Evans R. Illustrated Essentials in Orthopedic Physical Assessment. Mosby-Yearbook Inc., St. Louis, MO, 1994: p. 284. 8 Niv D, Gofeld M, Devor M. Causes of pain in degenerative bone and joint disease: a lesson from vertebroplasty. Pain 2003 Jan;105:387-392. 9 Gur A, Karakoc M, Cevik R, Nas K, Sarac A, Krakoc M. Efficacy of low power laser therapy and exercise on pain and functions in chronic low back pain. Lasers Surg Med 2003;32(3):233-8. 10 Djavid G, Mehrdad R, Ghasemi M, Hasan-Zadeh H, Sotoodeh-Manesh A, Pouryaghoug G. In chronic low-back pain, low-level laser therapy combined with exercise is more beneficial than exercise alone in the long term: a randomized trial. Aust J Physiother 2007;53(3):155-60. 11 Yousefi-Nooraie R, Schonstein E, Keidari K, Rashidian A, Pennick V, Akbari-Kamrani M, Irani S, Shakiba B, Hejri S, Jonaidi A, Mortaz-Hedjri S. Low-level laser therapy for non-specific low-back pain. Cochrane Database of Systemic Reviews 2008, Issue 2. Art. No. : CD005107. DOI: 10.1002/14651858.CD005107.pub4. 12 Bjordal J, Klovning A, Lopes-Martins A, Roland D, Joensen J, Slordal L. Overviews and systematic reviews of low -back pain. Annals 2008 May;148(10):789-790. 13 Unlu Z, Tasci S, Tarhan S, Pabuscu Y, Islak S. Comparison of 3 physical therapy modalities for acute pain in lumbar disc herniation measured by clinical evaluation and magnetic resonance imaging. J Manipulative Physiol Ther 2008 Mar;31(3):191-8. 14 Iowa State University Laser Safety Manual. Ms. April 2003, Second Revised Edition. Iowa State University. 15 Hode L, Turner J. The Laser Therapy Handbook. Prima Books AB, Grangesburg, Sweden, 2007: pp. 117-202.8. 16 Albertini R, Villaverde A, Aimbire F, Bjordal J, Brugnera A, Mittmann J, Silva J, Costa M. Cytokine mRNA expression is decreased in the subplantar muscle of rat paw subjected to carrageenan-induced inflammation after low-level laser therapy. Photomed Laser Surg 2008; 26(1):19-24. 18 Aimbire F, Lopes-Martin R, Castro-Faria-Neto H, Albertini R, Chavantes M, Pacheco M, Leonardo P, Iversen V, Bjordal J. Low-level laser therapy can reduce lipopolysaccharide-induced contractile force dysfunction and TNF-alpha levels in rat diaphragm muscle. Lasers Med Sci 2006; 21(4):238-44. 19 Bjordal J, Lopes-Martins R, Iverson V. A randomized, placebo controlled trial of low-level laser therapy for activated Achilles tendinitis with microdialysis measurement of peritendinous prostaglandin E2 concentrations. Br J Sports Med 2006; 40(1):76-80. 20 Avni D, Levkovitz S, Maltz L, Oron U. Protection of skeletal muscles from ischemic injury: low-level laser therapy increases antioxidant activity. Photomed Laser Surg 2005; 23:273-7. 21 Liveira P, Streck E Pinho R. Evaluation of mitochondrial respiratory chain activity in wound healing by low-level laser therapy. P Photobiol B 2007; 86(3):279-82. 22 Adah F, Benghuzzi H, Tucci M, Ragab A, Greenwald N. Effect of low-power laser treatment on a traumatized disc in a rat model. Biomed Sci Instrum 2008;44:34-40. 23 Bjordal J. Overviews and systematic reviews of low-back pain. Ann Intern Med 2008; 148(10):789-790. This research was provided by K-Laser USA.